Rick Hinderer began his career making knives in a farm building on his property, but it was his work as a fire fighter and EMT which truly informed his future as a knife designer and manufacturer. 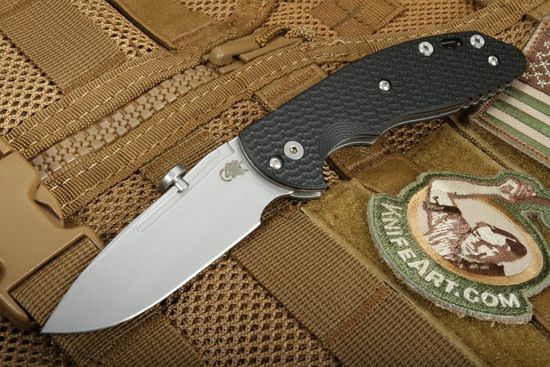 Using his own knives as a first responder, his designs evolved into tactical workhorse knives, dependable even in the most extreme circumstances. 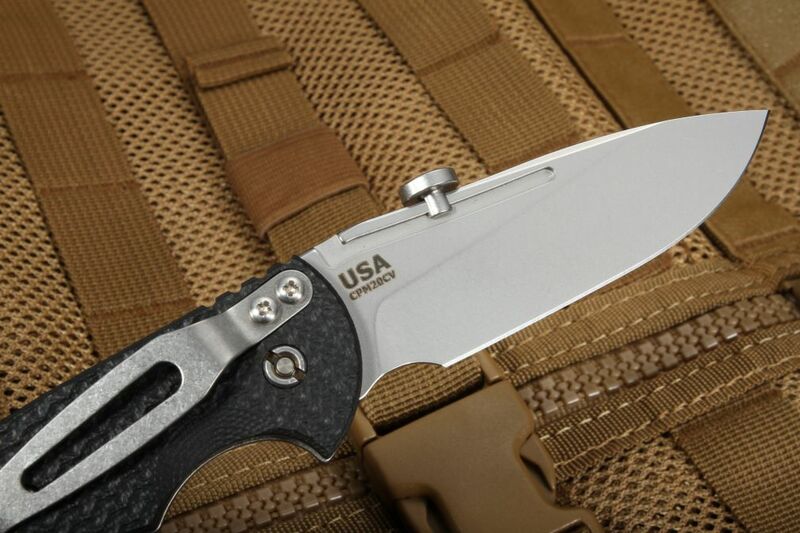 This Model XM-Slippy 3" slipjoint folding knife is another in a long line of superior American-made blades from Hinderer Knives..
Made from Stainless CPM 20CV Steel with a durable stonewashed finish, this 3" slicer blade features the oversized Rick Hinderer choil for more precise handling. 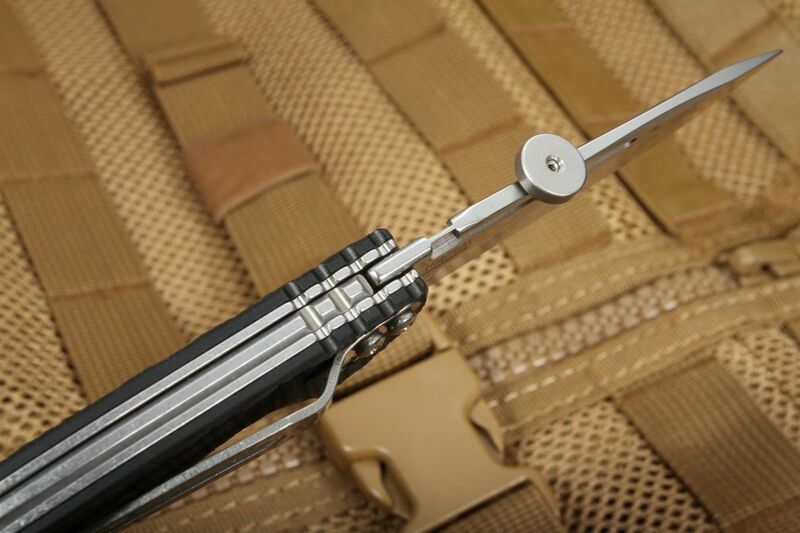 Jimping on the thumb rest of the handle spine ensure a secure grip, while an adjustable thumb track disc allow for easy right or left hand operation. 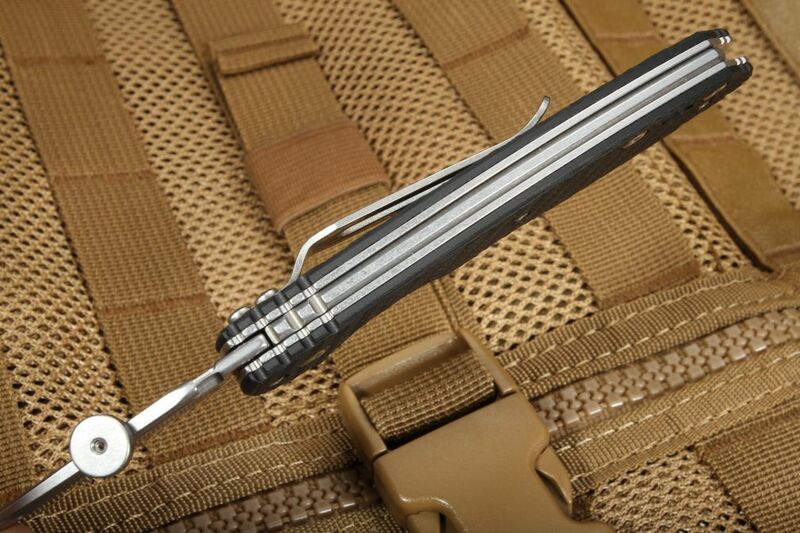 The thumb disc can be adjusted up or down on the thumb-track of the blade spine with the provided hex wrench. Rick Hinderer Slippy knives are fitted with their own in-house manufactured pivots, designed for precise accuracy and mated with an in-house designed screw which together create a strong pivot easily adjusted in the field. 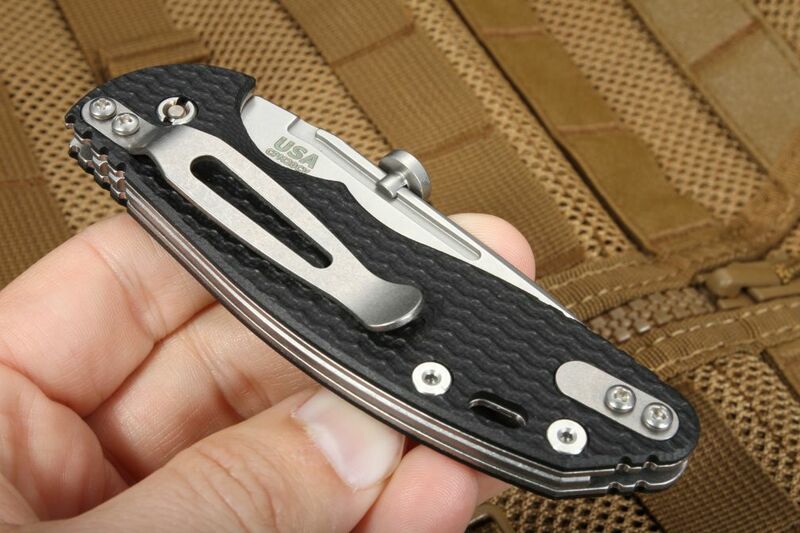 Titanium pocket clip can be mounted for tip up or tip down carry. 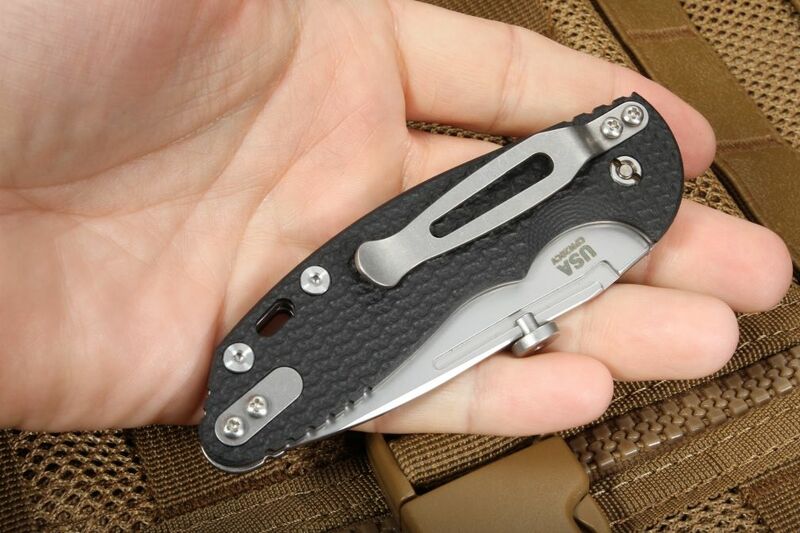 The full titanium liners, coupled with the textured black G-10 scales creates a comfortable handle with a reliable secure grip. Lanyard hole in the handle. We offer prompt service, secure online ordering, and fast delivery, shipping orders the same business day. 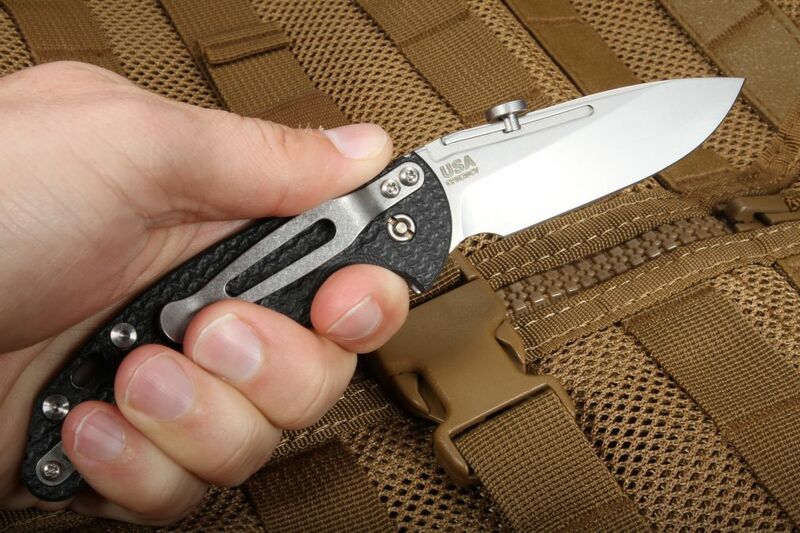 Operating in Little Rock, Arkansas for almost twenty years as authorized dealers for the brands we carry, we guarantee you'll be happy with your knife purchase. 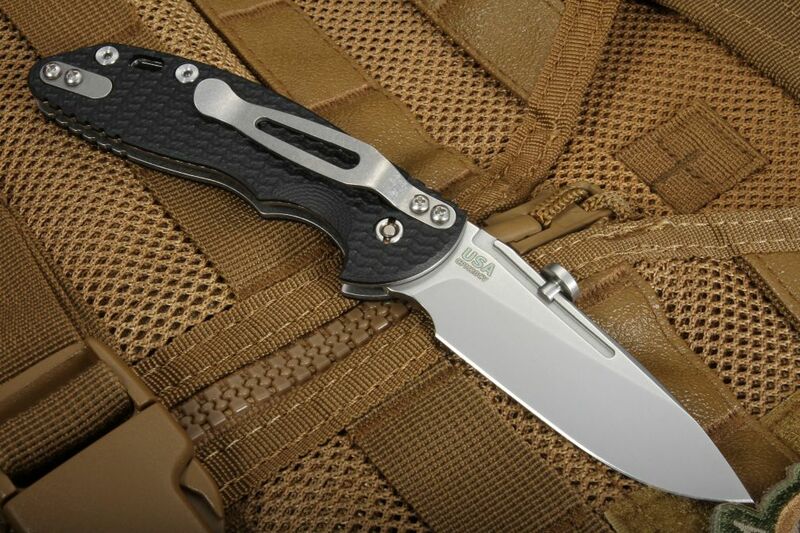 Hinder XM Slippy is made in the U.S.A. by Hinderer Knives.